Foundations of American Government unit contains 14 learning experiences. Students consider why countries form governments. 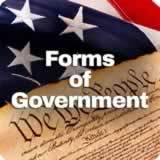 Then they compare different forms of government. Finally, they consider the advantages of democratic governments compared to authoritarian governments. Students compare different systems of government: parliamentary, federal, confederal, and unitary. They explore some of the strengths and weaknesses of each system and identify real life examples of each system. Then they draw a diagram representing one of the systems. Students identify how English policies and responses to colonial concerns led to the writing of the Declaration of Independence. 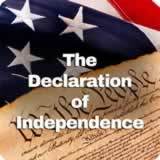 They examine John Locke’s idea of natural rights and analyze the ideas and complaints set forth in the Declaration of Independence through a close reading of each section of the document. Students learn about the Articles of Confederation. 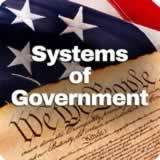 They discover when and why they were written and the structure and powers of the government they established. Then they explain the strengths and weaknesses of the Articles. 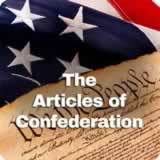 Finally, they examine the impact the Articles of the Confederation had on the writing of the U.S. Constitution. Students explore people, ideas, and documents that shaped the U.S. Constitution, including: the Magna Carta, the English Bill of Rights, Charles de Montesquieu, John Locke, and the Mayflower Compact. Then they explain the main idea of Thomas Paine’s Common Sense. 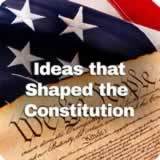 Students discover how the U.S. Constitution is organized into the Preamble, the Articles, and the Amendments. Next, they explore the meaning of the Preamble by reviewing important vocabulary and the main “goals” it lays out for the Constitution. Then they work in small groups to illustrate one goal of the Constitution. Finally, they reflect on and illustrate the meaning of “We the people” in 1787 and today. Students learn the process for amending the Constitution. 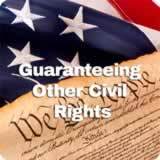 Then they explain an amendment that was explicitly not allowed by the U.S. Constitution. Finally, they draw conclusions about why the Founding Fathers made it so difficult to amend the Constitution. Students are introduced to the First Amendment by considering the rules that apply to their own online expression. Then they explore the five freedoms stated in the First Amendment. Next, students work in small groups to research and report on one of the five freedoms. Finally, students return to the issue of online expression and consider if and when freedom of speech can go too far. including the Foundations of American Government Unit.